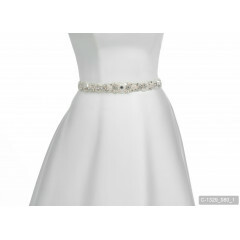 A thin bridal belt from Jupon with a leaf pattern and Strass stones running across the belt. Available in Ivory, Gold, Peach. ..
A thin bridal belt from Jupon with a floral pattern across the belt that is dashed with glittering Strass stones. Available in Ivory. ..
A thin bridal belt from Jupon with a shimmering floral pattern across the band. A very elegant piece. Available in Ivory. ..
A thin bridal belt from Jupon with a shimmering Strass stone pattern across the band. Available in Ivory. ..
A beautiful bridal belt from Jupon. This belt features a large floral pattern across the band with pearls splashed over the design. Available in Multi Colour. ..
A medium width bridal belt from Jupon. 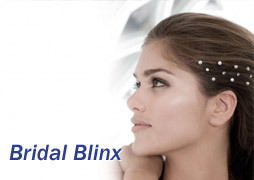 This features a circular pattern design throughout and is adorned with pearls and Strass stones. Available in Peach. 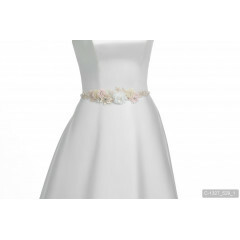 ..
Jupon brings you this lovely floral bridal belt. The flowers are multi colour and run throughout the band of the belt. Available in Pastel. ..
Jupon brings you this lovely bridal belt with an adornment of Strass stones and pearl flowers. Width: 3cm. ..
Jupon presents this lovely bridal belt with a small adornment of Strass stones and Pearls as an eye catching centre piece. Width: 3cm. ..
A beautiful bridal belt from Jupon with a wide adornment of Strass stones and Pearls flowers. Width: 5cm. ..
A thick bridal belt from Jupon with a large flower as an eye catching centre piece. Available in Ivory / Gold. 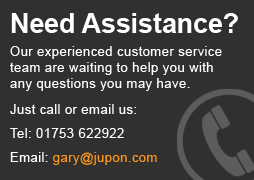 ..
A medium thickness bridal belt from Jupon. This beautiful belt features flowers across the belt with a splashing of Strass stones. Available in Taupe. ..
A luxurious bridal belt from Jupon covered in sequins and Strass stones, with a floral finish. Available in Ivory. ..
A beautiful, thin style, bridal belt from Jupon. This bridal belt has a row of Crystal and Strass stones running throughout, a very eye catching piece. Available in Ivory. ..
A dual band wedding belt from Jupon. This stunning piece features Strass stones throughout the design and is finished off neatly with a ribbon style feature. Available in Ivory. ..
A stunning floral pattern looks great on this Jupon Bridal Belt. Strass stones adorn the centre of the main floral design. Available in Ivory. ..